Small shops and stores are great places to find little trinkets and holiday stocking stuffers for everyone from mom to your coworkers or the kids. OK sure, there are Black Friday and Cyber Monday deals to be had. But consider this: Stockton small business owners too rely upon holiday shopping to put them in the black. Furthermore, many of them are your friends and neighbors, just look around! After you nab that new top of the line 4K television and all the toys you can stuff into your car’s trunk, check out what your neighborhood shops and restaurants are offering. You might be in for a steal of a deal this holiday season! This American Express initiative is gaining ground with local restaurants and stores taking part. Try shopping cores like the Stockton Miracle Mile and Lincoln Center this holiday season, or check our shopping page to see a list of local businesses that choose to make their home here in Stockton, California. Need plenty more unique shopping ideas? 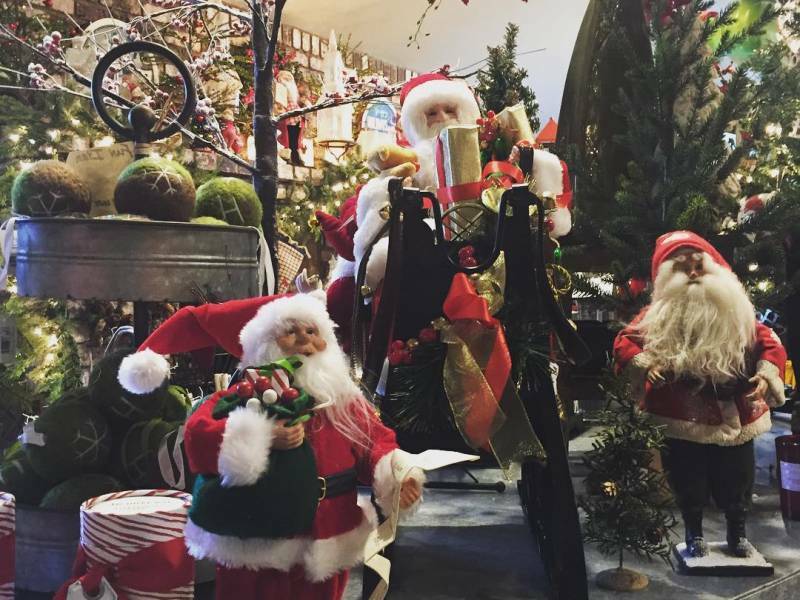 We've nailed down these local shops, perfect for holiday shopping. 2. The Stockton Savings Pass. Everyone enjoys saving money! Get hundreds of dollars of savings at the area's best establishments with the Stockton Savings Pass. Visit Stockton offers a mobile dine, drink, and shop pass consisting of annual deals and perks at locally owned businesses in the Stockton area. Give the gift of a savings pass by supporting local restaurants and attractions. 3. Stockton is Stocked Full of Flavor, literally! Skip the Amazon gift card this holiday season and buy gift certificates to local Mom-and-Pop boutiques and restaurants. Gift certificates get more popular every year, plus many are more than happy to receive them in their stockings. Now think about food! More than you normally would anyway. Gift certificates to a favorite eatery can really hit the spot. Check our dining page, which promotes dining in local independent area restaurants. Or, you can just swing by your favorite local restaurant of your choosing. Buying gifts for art lovers? San Joaquin County has an array of museums which offer unique gifts ideas for a friend or family member interested in the arts. A museum membership might also be welcome under the tree. This year, give something more healthy and beneficial to a loved one. Why not give the gift of wellness? Giving the gift of health will make any work-out enthusiast smile this holiday season! With healthy dining options, fitness centers and yoga studios popping up in Stockton, taking good care of your health has never been easier! Check out our Health & Wellness page fun ideas that will make any health-conscious enthusiast happy! Treat your special someone, friend or family member to Stockton mementos from Visit Stockton! Explore the collection of Official Stockton "Stocked Full of Flavor" brand shirts, hats, beanies, mugs, and even Stockton history books from local authors. All products sold on stocktonsouvenirs.com promote and celebrate Stockton. You can order all of the Stockton souvenirs online, and even have them shipped! Need more convincing to shop small? Check out this YouTube video by American Express. Need more suggestions to shop local this holiday season? You can also text us 7 days a week, 8am to 8pm at (877) 778-6258 and you'll receive a live response from a member of our team.